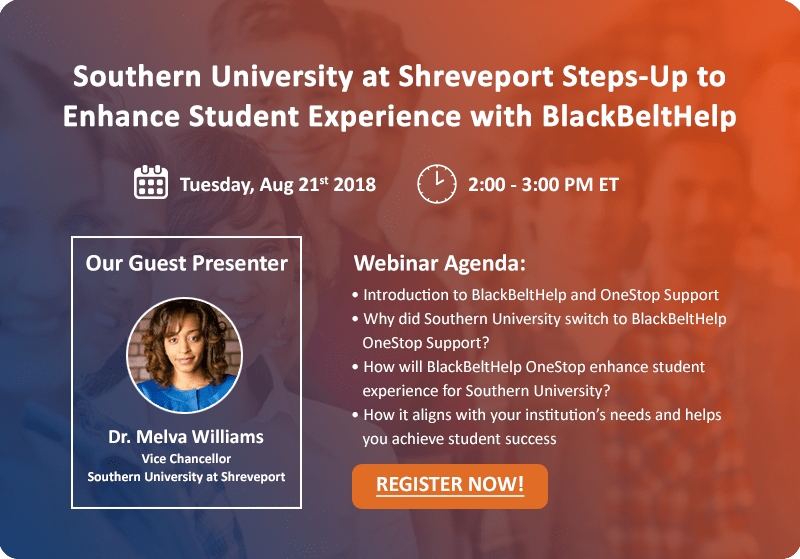 October 2018: BlackBeltHelp, a leading one-stop student services provider in US, is pleased to announce a strategic business partnership with Unifyed™, a leader in educational technology. As a part of this engagement, both the parties will refer each other’s products and services to their clients, facilitating a better support experience for their approx. 8 million end-users. “BlackBeltHelp looks forward to working with UnifyedTM to provide a full suite of student support solutions to our user institutions" said Tracy Thomson, President at BlackBeltHelp. “We are also excited about how this partnership shall bring increased value for our common partner institutions", she further added. UnifyedTM is a global leader in higher education technology helping institutions deliver rich college experiences and help students remain focused on achieving their educational goals. It eliminates expensive siloed systems to deliver on students’ expectations of a seamless, connected college experience. Its solutions help schools create immersive user experiences, maximize cybersecurity, increase operational efficiency and provide data rich insights to boost retention and create a more student centric campus. Visit www.unifyed.com to learn more.